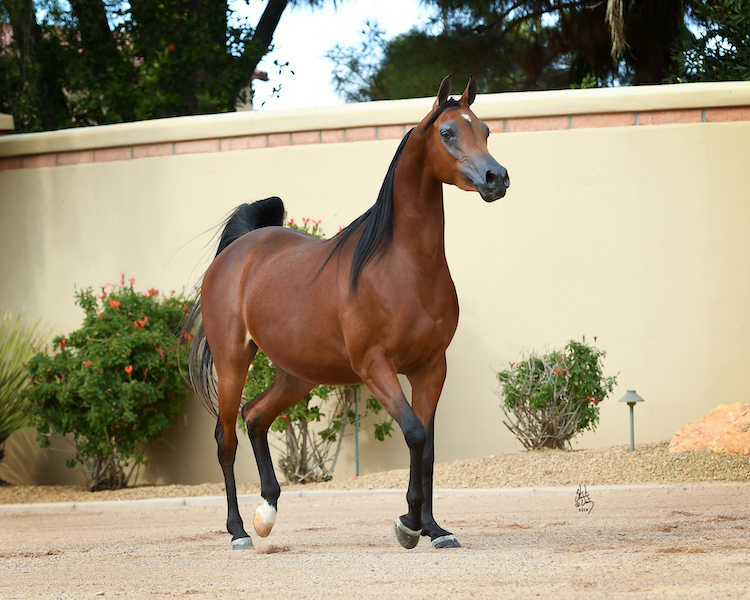 We are proudly consigning one of our fine Marwan Al Shaqab mares to the 2019 Marquise Invitational Auction taking place on February 22nd. 2014 Bay Mare sells with her 2019 Kanz Albidayer Filly at her side. 2018 was a particularly good year for SASHA AS’ dam HED CARAMBA. 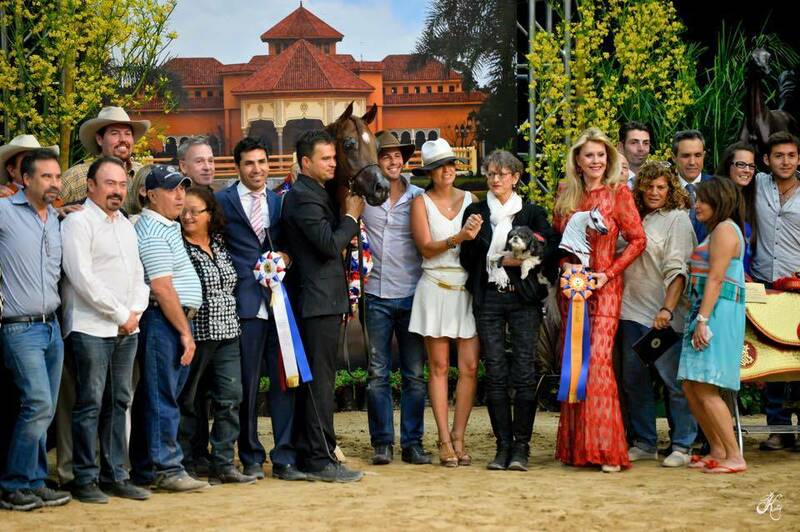 A former siren in the show ring as Canadian National Champion, U.S. National Top Ten Champion & Scottsdale Senior Mare class winner, the Brazilian-bred CARAMBA was the common maternal source of several of the most celebrated show horses of the past season, including both United States National Futurity Champions – Canadian National Champion Senior Mare PINK ROSE SRA in the Filly division; Arabian Breeders World Cup Supreme Junior Champion DELACROIXX amongst the Colts, and the aptly named unanimous United States National Champion Arabian Breeders Sweepstakes Yearling Filly APHROIDITE ENB, as well as RSHEDIAH ALKHASHAB, a dual Gold Champion in the Arabian Gulf in ECAHO ‘A’ level competition, and twice Silver Champion at European title shows, first at the All Mediterranean Championships in Menton and again at the All Nations Cup in Aachen. Such is the incomparable legacy of HED CARAMBA, an Aristocrat Dam of twelve sensational international champions, and a rapidly expanding pantheon of globally dominating descendants, a universally admired mare who has proven herself a remarkably prolific producer with several of the highest profile stallions in the breed, including DA VALENTINO, EL NABILA B, ENZO, THEE DESPERADO, RD DYNAMO, OM EL BELLISSIMO & WH JUSTICE. 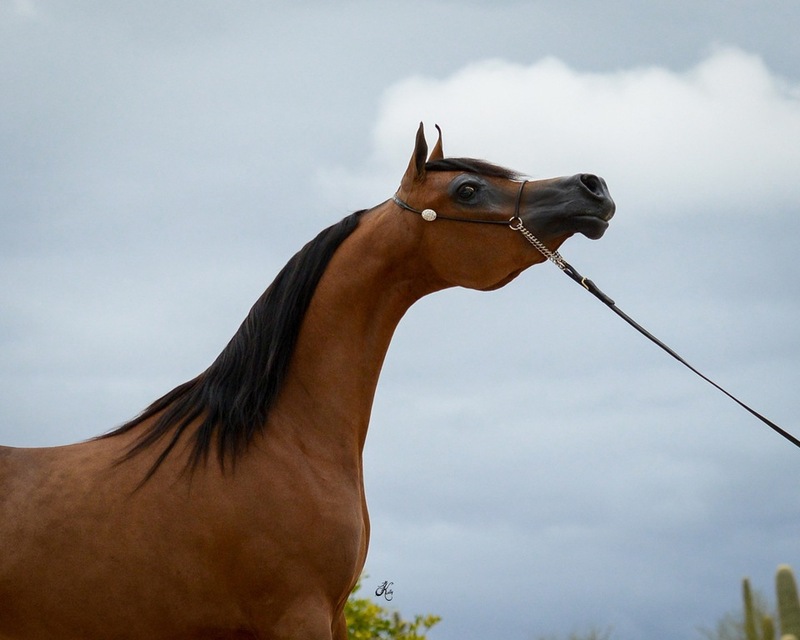 The aspiring SASHA is the result of CARAMBA’s most frequent mate, Arabian breed trailblazer MARWAN AL SHAQAB, making her an invaluable blend of aristocratic type, quality and refinement, with attitude to burn, the combination of which should be enough for every serious breeding program to take notice.